The general Redundancy Protocol Gateway provides connection between any two protocols, including built-in redundancy (6000 series) and external redundancy (5000 series). 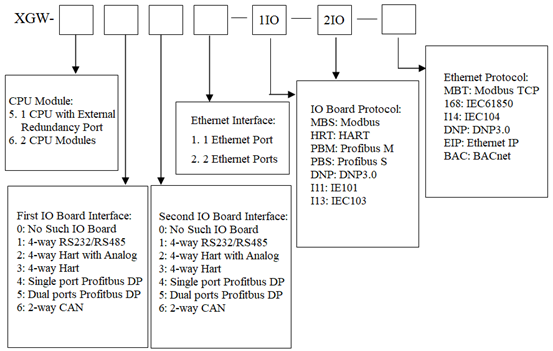 The supported communication protocols include Modbus, DNP3.0, IEC104, EthernetIP, BACnet, IEC61850, IEC101, Profibus DP, HART, CAN. 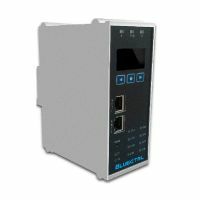 The communication network includes serial network, Ethernet, field instrument Bus, etc., can be reliably connected to Siemens, Rockwell Automation, Schneider Electric and other products using standard communication protocols. The network protocol supports multiple connections. Each protocol supports up to 16 Server connections and 128 Client connections. The Hart protocol also supports remote DTM device management. Protocol gateway products adopt dual CPU module, dual power input redundant structure, dual Ethernet and self-switching technology, 20KA anti-lightning circuit design, aluminum-magnesium alloy shell and industrial rail installation to meet the industrial cabinet layout requirements. Panel supplies LED status, LCD data display and custom data display. It can provide professional solutions for high-reliability field applications. 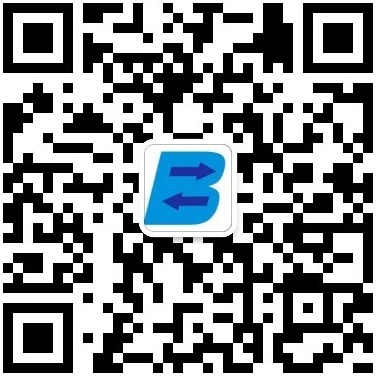 It is provided with faster operating speed (400M), greater memory capacity (256M), greater storage space (256M Flash + CF), efficient real-time operating system, and can meet the real-time protocol conversion performance requirements. It has more detailed parameter configuration, more functional options, and larger internal real-time libraries (20,000 Word), to meet the demanding protocol conversion requirements. It is provide with 128-bit dynamic key encryption connection technology, private real-time operating system, and can reliably prevent unauthorized personnel, hackers, viruses. Integrated protocol data flow monitoring and analysis, detailed working status data, easy system debugging and remote centralized maintenance. 2. Support external hardware redundant structure application layout, support stand-alone operation. 5. Up to 20000 words support full-function protocol and user-defined database, support word and bit index. 8. 8 serial ports, 8-way HART, 4-way Profibus-DP, 4-way CAN, unique RS485 redundant loop, dual Ethernet. Each communication port operates independently to meet the functional requirements of high-speed data transmission or data acquisition. 10. 1S system boot, 4 system backup, industrial wide temperature devices and reliability design. 11. LCD display Panel and remote Web services. 12. -40 ~ +80 ℃ wide temperature working environment, fanless design, standard DIN rail mounting to meet the harsh environment. 13. 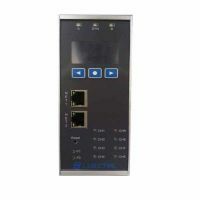 Multiple bus interface module and port combination, optional 2G, 3G, LTE modules and software customization services to meet different application needs. Note: Models can be customized; protocol not included in the model can also be customized development.